When towing long heavy campers you need mass. The more mass you have the safer you are. The more tires the more stable you are. Take a good hard look at a 2500 behind a tall long 5ther. It looks very small. It is compared to the 5ther. People pick on me because of my truck. It looks right at home hooked to my Teton. So these are spot on, first quote, DRW for stability and the safety of four rear tires. We a nice used Ram 3500 DRW Aisin with 3.73's, can't wait to tow with it. 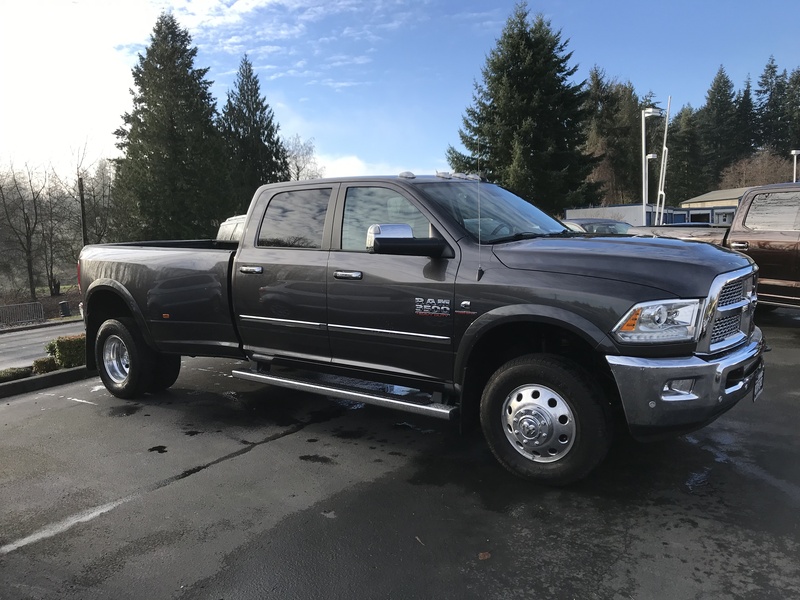 The second is also true, our 2001 Ram 2500 ready to tow weighs in at 7,800#, our new 2016 Ram 3500 DRW Laramie weighs in at 9,150# with just DW, Me and our 30# Beagle Belle. I have not seen the return of the OP, but I am sure he should have something like this in his driveway. https://photos.app.goo.gl/TcGVHDaE3Pht6kFg7 This is my dually.I can not put pictures here. Click on link and you will see it.